Donald Trump praised WikiLeaks many times in 2016, particularly as the campaign entered the home stretch in October. But on Thursday, after the Justice Department unsealed an indictment charging Assange for actions stemming from WikiLeaks' 2010 publication of classified diplomatic and military documents, Trump acted as if he'd never heard of the anti-secrecy group. "I know nothing about WikiLeaks. It's not my thing," Trump told reporters in the Oval Office. "I know there is something having to do with Julian Assange." In fact, Trump was one of WikiLeaks' most vocal supporters on the campaign trail, once confessing to supporters at a rally in Ohio that he almost didn't get off his plane because "they were just announcing new WikiLeaks, and I wanted to stay there, but I didn't want to keep you waiting." "Boy, I love reading those WikiLeaks," Trump said. Trump praised WikiLeaks many times in 2016, particularly as the campaign entered the home stretch in October and the group began dribbling out emails of Clinton's campaign chairman, John Podesta, emails prosecutors say were stolen by Russian government hackers. At a campaign stop in Pennsylvania on Oct. 10, Trump declared, "I love WikiLeaks." "This WikiLeaks stuff is unbelievable," Trump said two days later in Florida as the site continued to post emails. "It tells you the inner heart; you gotta read it." Thursday's indictment of Assange, who is in British custody pending a U.S. extradition request, marks an awkward evolution in the president's affections. 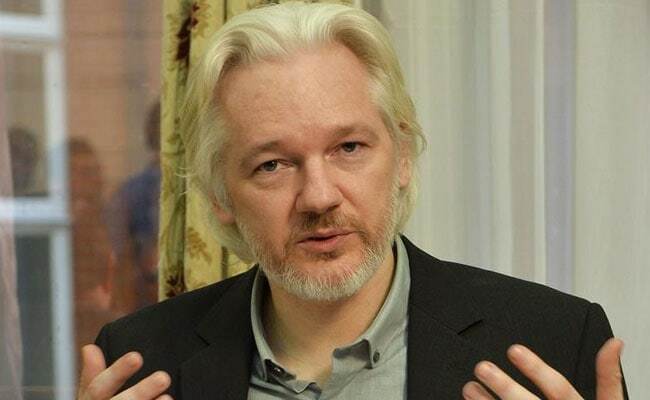 The former WikiLeaks fan now runs a government that seeks to imprison Assange and likens him to the head of a hostile foreign intelligence service. As WikiLeaks released Democratic Party emails in 2016, members of Trump's campaign were in contact with the group. On the same day that Trump told his supporters in Florida to read WikiLeaks, the group urged Trump's son, Donald Trump Jr., to promote its cache of stolen emails, sending him a link to it in a private Twitter message, according to correspondence that Trump Jr. later disclosed. Two days after WikiLeaks' request, he tweeted the link and encouraged his followers to "read about all the corruption and hypocrisy. . . ."
Trump Jr. didn't respond to many of WikiLeaks' messages. But he told his brother-in-law Jared Kushner and other senior campaign advisers that he was in touch with the group, The Washington Post has previously reported. Stone has maintained that he was never in contact with Assange and that he had no advance knowledge of WikiLeaks' exact plans. In January of this year, he was charged with lying to Congress about his efforts to make contact. In court documents, prosecutors from the special counsel's office alleged that a senior Trump campaign official - it's unclear who - was directed to contact Stone shortly after WikiLeaks published internal Democratic Party emails in July 2016 and to find out what else WikiLeaks had in store. After the election and a few weeks before he took office, Trump publicly defended Assange and promoted his claims that Russia wasn't the source of the emails, some of which also had been stolen from the Democratic National Committee. "Julian Assange said 'a 14 year old could have hacked Podesta' - why was DNC so careless?" Trump tweeted. "Also said Russians did not give him the info!" By that time, the Department of Homeland Security and U.S. intelligence agencies had publicly stated that Russia had stolen the emails and that their publication on WikiLeaks was "consistent with the methods and motivations of Russian-directed efforts" to interfere with the elections. Unlike Trump, Pompeo - because of his earlier position on the House Intelligence Committee - had been privy for years to classified material on WikiLeaks and how U.S. spy agencies saw it as an aggressor. That didn't stop him from relishing Assange's role in the 2016 race. "He liked WikiLeaks because it was putting (Clinton) on the hot seat," a former U.S. official with knowledge of his thinking said. "The saint becomes the villain when it's your interests that are being exposed." By then, CIA officials were aware that a small arsenal of cyberespionage tools had been stolen. On March 7, WikiLeaks began posting the weaponry online in a release dubbed "Vault 7." "That was the triggering event" for Pompeo, the former U.S. official said, speaking on the condition of anonymity to describe government deliberations. Pompeo informed senior aides that he would make lashing out at WikiLeaks a focal point of an upcoming speech at a Washington think tank, his first public remarks as director. From the podium, he labeled WikiLeaks a "nonstate hostile intelligence service," comparing it to a foreign government that tries to steal U.S. secrets and undermine the nation's interests. "It is time to call out WikiLeaks for what it really is - a nonstate hostile intelligence service often abetted by state actors like Russia," Pompeo said. He argued that WikiLeaks wasn't engaged in traditional journalism, signaling that the Trump administration might be ready to take up a constitutional debate. "Julian Assange and his kind are not the slightest bit interested in improving civil liberties or enhancing personal freedom," Pompeo said. "They have pretended that America's First Amendment freedoms shield them from justice. They may have believed that, but they are wrong."